• The machine Brausse TB1450 is delivered with the European CE certificate. • One speed control pulley for small box even for even spacing; timing feeder with an eccentric device for up and down when producing big box, maximum feeding belt speed synchronizes with main machine speed. 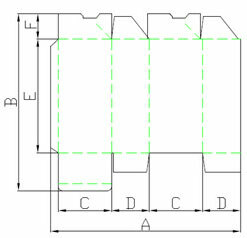 • Special long pre-breaking section for long corrugated blanks. • Both sides big and strong pre-break device for corrugated board. • Folding guides and rollers can be mounted on middle carrier. • Loosening only two bolts can change position of belt guide wheel. 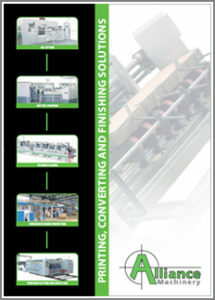 • Upper carrier driving system and air cylinder pressing system applied for corrugated board. 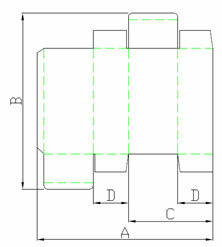 • Extended upper carrier can be mounted on the middle carrier for corrugated box. 1. 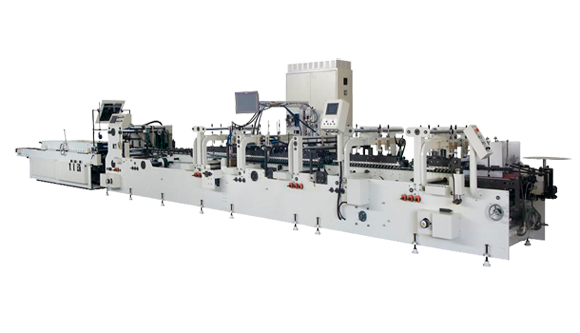 Auto – set a box single spacing, compressing belt speed is synchronized with the machine speed. It moves only when sensor detects the box coming. 3. -belt induction device is adjustable in the side by motor. • Sponge belt for extra compression of lower area. • One pin wrench adjustment. • Three way quick release levers to allow instant height settings of top carriers. • It is very easy to clear jams and running E or B, A flute cartons. • Electronic batch counter and kicker. • Touch screen control panel.